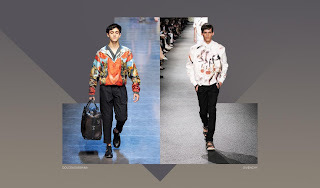 Whether it was down to the success London 2012 which gave everything a bit of a sporty vibe or whether it was just due a revival, the bomber jacket dominated the catwalks at men’s fashion weeks around the globe this year. 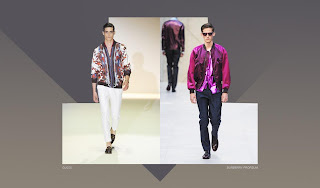 Kenzo showed classic nylon bombers with contrasting sleeves and Burberry Porsum and Givenchy showed brightly coloured bombers in satin and silk which really make an impact. If you don’t want to break the bank this summer but the bomber is your outerwear piece of choice this, then Stone Island’s SS13 collection offers a whole rainbow of softly coloured options in lightweight, high- performance fabrics. Check out the brand’s SS13 look book below. Stone Island isn’t widely stocked in the US so try UK stockists, Repertoire who ship to the US, or even Ebay for some great deals.